The waves from the Atlantic sweep around each side of the island, leaving a small beach on the sheltered leeward side for swimming and sun bathing. Lining the beach is an array of small bars/cafes offering a range of brochettes and sandwiches. Travelling on from the Monument de la Renaissance Africaine, a short pirougue trip (500cfa, or 80 cents return) and I’m on the Isle N’Gor. An escape from the city, the island offers a chance to chill out, enjoy a beer or two and chat to the locals (or foreign nationals – predominately NGO workers). After a frenetic 4 months leading up to the trip, it’s a nice change of pace, time to recharge the batteries and relax into Africa. P.S. Being Africa, if you need something, you only have to ask. 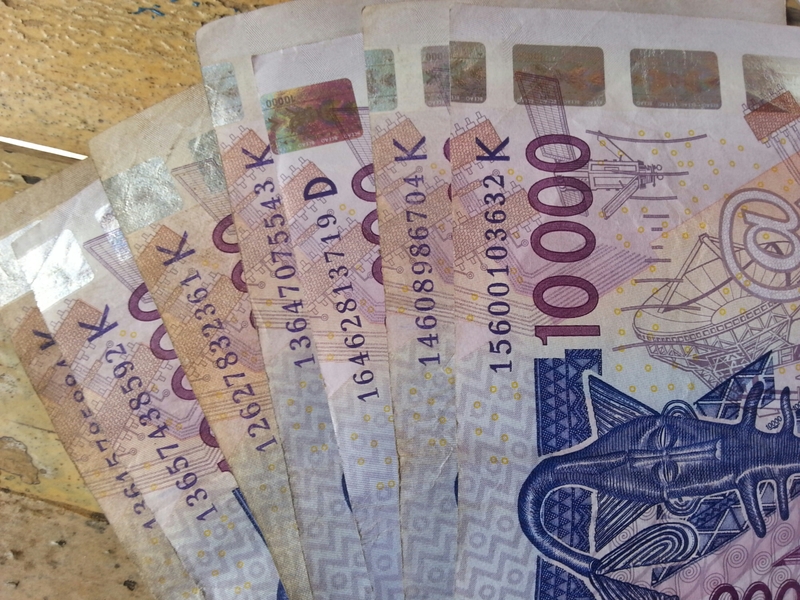 Need to change currency, someone will take you to the local money changer – here in Senegal, they are part of the West African monetary union and use CFAs, which are pegged to the Euro at an official rate of 650cfa to €1, so it’s easy to ensure that you don’t get short changed. Likewise, need to charge your mobile, someone will oblige – try that in the UK!